Ensure optimal power or sample size using power analysis. 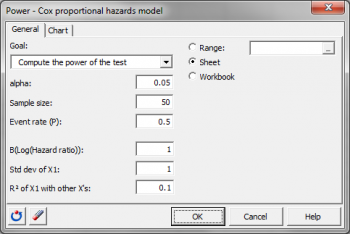 Power for Cox regression is available in Excel using the XLSTAT statistical software. The Cox model is based on the hazard function which is the probability that an individual will experience an event (for example, death) within a small time interval, given that the individual has survived up to the beginning of the interval. It can therefore be interpreted as the risk of dying at time t. The hazard function (denoted by l(t,X)) can be estimated using the following equation: λ(t,X) = λ0 (t) exp(β1X1 + … + (βpXp) The first term depends only on time and the second one depends on X. We are only interested by the second term. If all βi are equal to zero then there is no hazard factor. The goal of the Cox model is to focus on the relations between the βis and the hazard function. 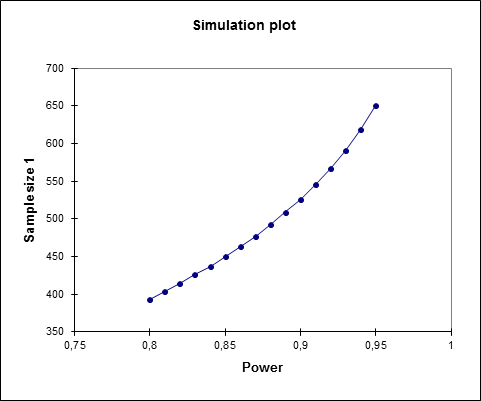 The test used in XLSTAT-Power is based on the null hypothesis that the β1 coefficient is equal to 0. 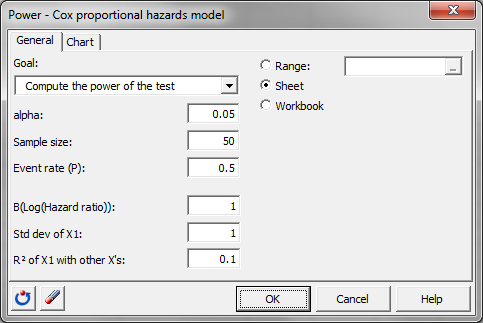 That means that the X1 covariate is not a hazard factor. The B(log(hazard ratio)) is an estimation of the coefficient β1 of the following equation: log(λ(t|X) / λ0 (t)) = β1X1 + … + βkXk β1 is the change in logarithm of the hazard ratio when X1 is incremented of one unit (all other explanatory variables remaining constant). We can use the hazard ratio instead of the log. 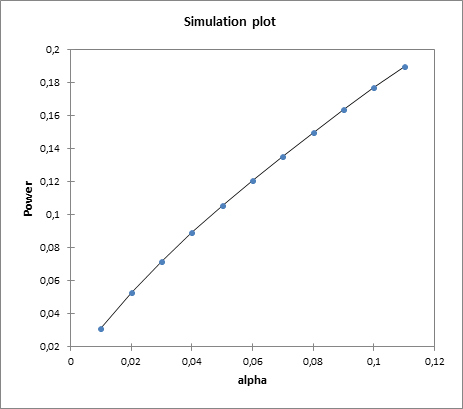 For a hazard ratio of 2, we will have B = ln(2) = 0.693.